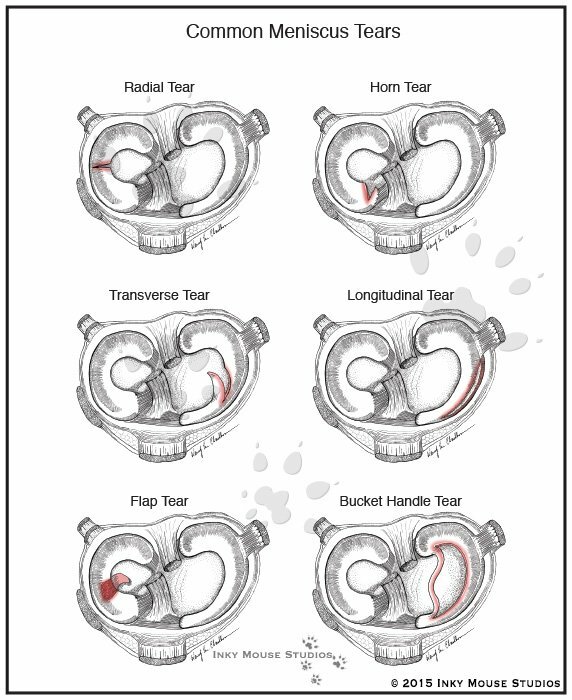 This is a simple pen and ink medical illustration of the six most common meniscus tears that occur in the human knee shown from the superior view of the tibial plateau, which would be suitable for patient education or textbook use. The actual location of the meniscal tear itself is indicated in red. There are two corresponding illustrations of the normal tibial plateau, and the anterior view of the knee which viewers can compare to these injuries.